Two years have passed. Now, we once again invite all artists to apply to the artig Art Prize (endowed with 2,000 €), the artig Special Prize (700 €) and the Audience Prize (700 €). Application deadline is February 24, 2018. Both jury prizes will be awarded at the opening vernissage on Friday, April 13. The Audience Prize will be presented on Sunday, May 13. Once again in 2018, the artig association invites visual artists of all genres, painters, sculptors, photographers, performance and video artists as well as artists who make hybrid art to submit one to two artworks to the international artig Art Prize 2018. The artists can send photos of their artworks either directly per online form or by letter. 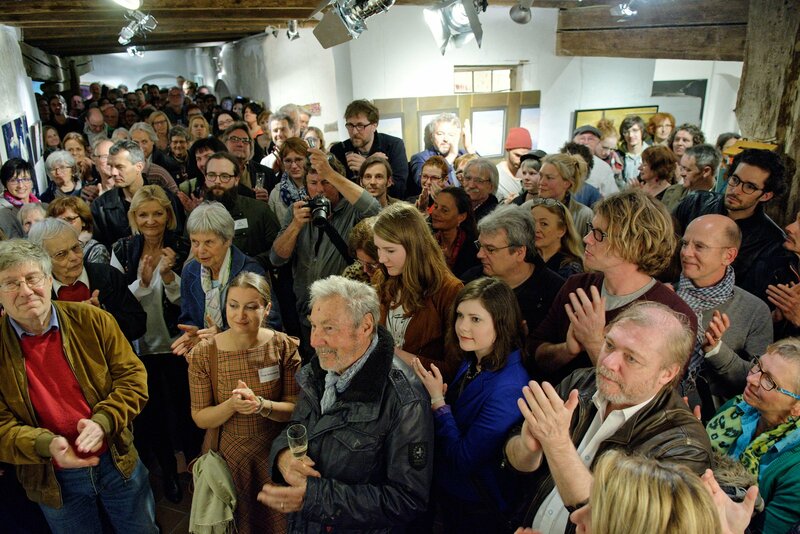 The Art Prize is offered and organized by the artig associaton, a registered, non-profit organization that was founded in 2009 by artists and art lovers in the Allgäu region. 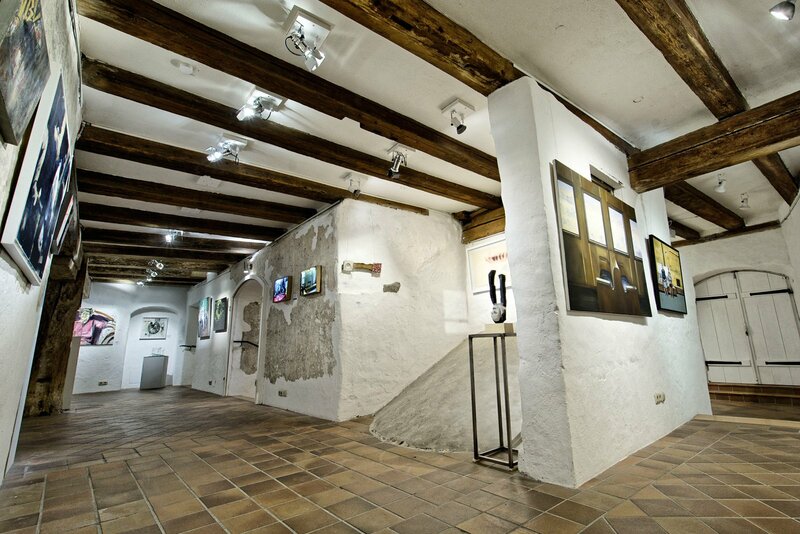 Since 2012, artig has been operating the Kunstreich Gallery in the historic old town of Kempten. 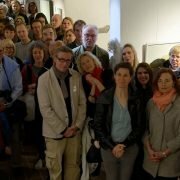 The finalists’ artworks are presented there in a large exhibition from April 13 through May 13, 2018 and the art prizes are awarded in the Kunstreich Gallery. The artig Art Prize honors contemporary art without restrictions. This means: no restrictions with respect to age, origin, production method or theme – and with as little outside interference as possible. In the end, the artig Art Prize is an award from artists for artists; they are in the focus. 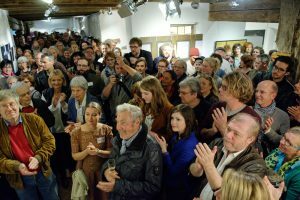 artig Audience Prize 2018, endowed with 700 Euro, donated by the Clemens Härle Brewery and voted for by the exhibition visitors per ballot. 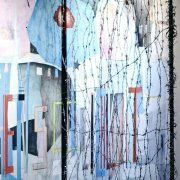 *The Art Prize and the Special Prize both also include a free solo exhibition in the Kunstreich Gallery in the town of Kempten; transport and accommodation cost up to 400 Euro are also included. the exhibition on occasion of the artig Art Prize 2016; one of three floors in the gallery space that dates back to the 15th century. Photographs of one to two artworks can be submitted per online form or letter until February 24, 2018. From these the jury nominates the works for the Art Prize. The original works must then be delivered and will be shown in the Art Prize exhibition starting April 13. From these original artworks, the jury will select two works that will receive the two art prizes at the opening reception on Friday 13, 2018. The non-refundable participation fee is 30 Euro. The fee will be used to finance a free art prize. 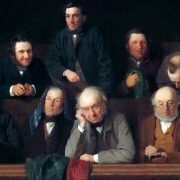 For all sold pieces of art, a commission of 15 % will be charged. No other costs will be charged – the illustration of the artworks in the exhibition catalogue is included. In our view the participation fee is a artist solidarity fee: all artists pay the same amount into a „jackpot“ that is held in trust by the artig registered association (a recognized charitable association that is prohibited to make private profit). The jackpot is then used to award prizes to select artists and to pay the expenses for a professional exhibition catalogue, for the art prize and two award winner exhibitions, for insurance, for rent and for many other things. The entire organizational work, the award selection and the organization of the exhibitions is based on the voluntary, unsalaried work of our members. For us, it is important that the art prize focuses on art and the artists. This includes feasible delivery times for every artist, not just for teachers and retired people, a rigorous control of non-transparent competition and the prohibition of applications submitted by association members (in order to avoid that one of the organizers will receive an award…), a professional exhibition marketing all the way to the opening speeches that will not praise the merits of town officials and sponsors while the artists provide a decorative backdrop. Moreover, we also reject entrepreneurs who praise art sponsoring as “social” (!) commitment, and who purchase paintings because they match their products thematically or in color – or via their sponsoring influence in any other way and create dependences. From the very beginning, the artig Art Prize was intended to be as free as possible (like the art itself) and to have as little restrictions as possible with respect to the underlying criteria, e.g. with respect to the theme, the production methods as well as the age, education, origin or the association membership of the participating artists. With this in mind, we went through the participation terms once again and we discovered a passage that made us think: why should a piece of art be less relevant, good or less presentable only because it is older than three years? Similar as is the case with books, a theater play, an idea or a vision? Of course, depending on the theme, a particular artwork may become less relevant over time – but not per se simply through its age. At what point will a piece of art be no longer up-to-date? And how up-to-date and novel must art be at all? As novel and new (and replaceable) as a mobile phone that is outdated every second year? In light of this absurdity, we accept every artwork independent of the year it was created for the Art Prize 2018 – as long as it was created by the submitting artist himself or herself. There are only a few more restrictions. Art is free but the technical restrictions and limits are not the sky, but the walls and the ceiling of the Kunstreich Gallery. Therefore, the maximum size of the artworks should not exceed 2.2 x 3.5 meters. Other than that, there are no restrictions concerning genre, technique, age, origin or theme. artig artists and full members are excluded from participation to ensure free and unbiased jury decisions. Moreover, this should also guarantee results without strange connotation. Naturally, the admission to the exhibition is also free. They came from North Friesland, the Netherlands or from Spain, Italy and Switzerland. They were between 25 and 76 years old and included award winners, art students and self-taught men: in 2014, 53 artists and in 2016, even 67 artists were represented in the artig Art Prize exhibition in the Kunstreich Gallery. In 2016, the jury selected 69 pieces of art from more than 800 submitted artworks. 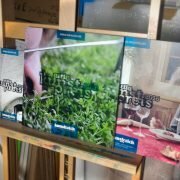 Given the unexpected high number of participants, we quickly doubled the main prize to 2.000 Euro, increased the two other prizes to 700 Euro each and resized the format of the exhibition catalogue to 30 x 30 cm. In addition, all award winners were invited to solo exhibitions.